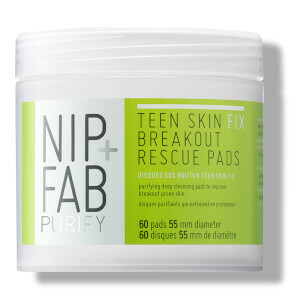 Give your oil and dirt-clogged pores a good deep clean with NIP+FAB’s Teen Skin Fix Breakout Rescue Pads. 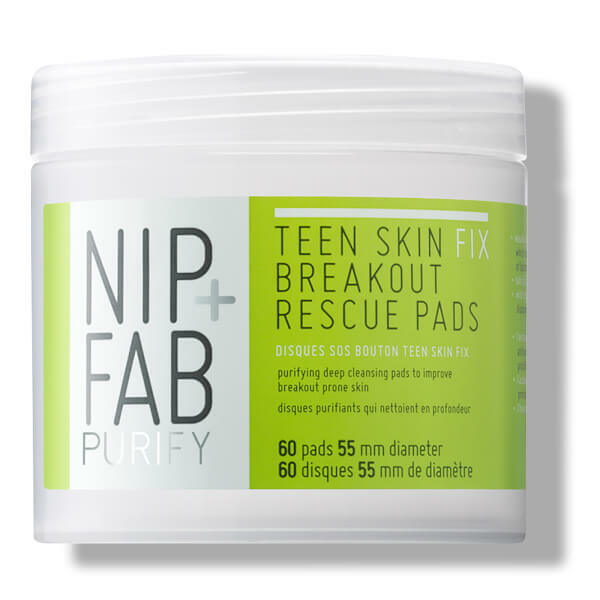 Infused with antimicrobial Wasabi Extract and spot-zapping Witch Hazel, the pads helps to prevent unwanted blemishes and breakouts. Wipe one pad over entire face. Use twice daily in the morning and evening. Use 2-3 times weekly on senstive skin. Avoid delicate eye area. Should contact with eyes occur, rinse well with water. Keep out of reach of children. Apply sunscreen during daytime. Aqua (Water/ Eau), PEG-7 Glyceryl Cocoate, Lactobacillus/ Wasabia Japonica Root Ferment Extract, PEG-40 Hydrogenated Castor Oil, Hamamelis Virginiana (Witch Hazel) Water, Phenoxyethanol, Sodium Benzoate, Salicylic Acid, Parfum (Fragrance), Potassium Sorbate, Disodium EDTA, Alcohol, Benzyl Salicylate.